Sauternes is the closest thing to Mecca dessert wine lovers can experience. If Tokaj is the king of sweet wines then Sauternes is most definitely the queen. 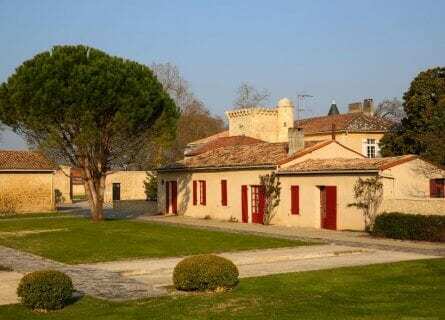 Located less than an hour from Bordeaux and Saint-Emilion it’s also an easy day trip to this peaceful and extremely picturesque wine region, and well worth the trip even for non-dessert wine lovers – you will be converted! We have created this one day chauffeured tour to two stellar estates, both first growths, in Sauternes itself and neighboring Barsac. You will enjoy private, VIP tours; taste an array of vintages to see the fascinating contrast and diversity within the dessert wine genre, and you will sit down to lunch with the friendly family at one of the oldest and most prestigious estates in the region. Winemaking dates back centuries in Sauternes, and for white wines at least to the 1600’s. Historic fans of Sauternes include characters like Thomas Jefferson, who considered Château d’ Yquem to be one of France’s great white wines. The nectar-like wines are made by “noble rot” (“Pourriture noble”), the process of leaving the grapes on the vine to rot which concentrates the sugars and sweetness while maintaining the acidity to keep the wine refreshing. Sauternes wines, in fact, are known for their delicate balance of sweetness and acidity, and the better made Sauternes are simply some of the best wines on earth. They are amazing, long-lived wines and can still taste spectacular at 60 or 80 years of age! Come, let us introduce you to these captivating wines. Your own private driver and impeccable Mercedes will collect you from your hotel or villa in Bordeaux, St Emilion. Enjoy the drive to the Sauternes wine country, taking in views of gentle hills, rustic farmhouses and vineyards literally everywhere. You will arrive to the first estate of the day, to the superlative Guiraud winery, located next door to Château d’ Yquem (their vineyards actually border each other). The estate began making wine commercially in 1766 when Protestant merchant Pierre Guiraud bought the property and he made swift enemies with the neighbors as not only was he protestant in a Catholic stronghold, he was also a Republican (anti-monarchy, in a region where the wine estate owners were nearly all aristocrats). Guiraud was classified as a cru classé in the 1855 classification and today is one of the leading Sauternes wineries. It’s organic and apart from the wine tasting, we can also organize a botanical tour with an introduction to biodiversity if of interest. You will have a tour of the vineyard and cellar and finish with a superb tasting of six Sauternes wines from varying vintages. Formidable! Then, travel a few miles down the road to Barsac. Barsac, like Sauternes, is the name of a town, an appellation, and a wine style. And confusingly, wines made in Barsac can share the appellation with Sauternes on the label. The wines are similar but Barsac is said to show more restraint, and the wines can also have slightly less acidity. Arrive at Château Coutet, one of our favorites, both for the wine and the superb hospitality. The Baly family have run this beautiful cru classé estate since the 70’s but the history goes far, far back. There is an English Aquitaine tower on the property dating back to the 13th century, an ancient chapel and a sumptuous Château. Thomas Jefferson praised the wines of Coutet and said that they were the best Sauternes in Barsac, and indeed the wines are now better than ever. With a member of the family, you will tour the vineyard and old cellar (complete with lagar for treading grapes, and Saint Vincent- patron Saint of the vines- watching over) and learn about the history of the property as well as the area. Carry on to their family dining room where you will be welcomed at lunch to taste their wines “in situ”. This is a special VIP treat. After a five-course feast paired with wines including an extra fabulous Cuvée Madame, sip a digestif on the terrace admiring the view. In the late afternoon or early evening, your driver will take you back to your hotel or villa. We hope you had a terrific time today.